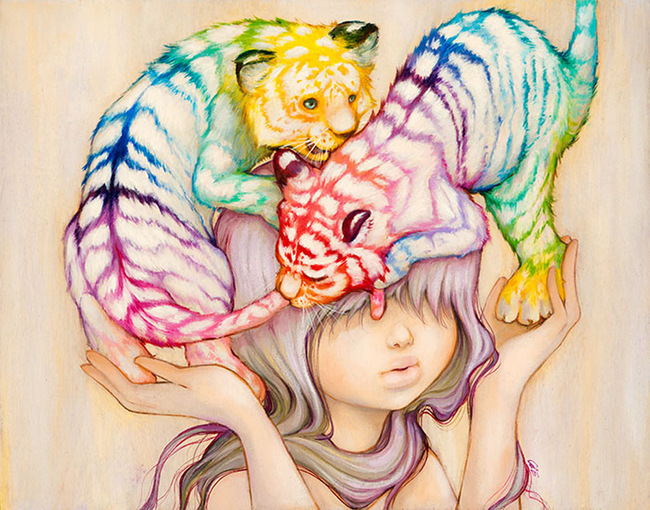 Camilla d’Errico arrives in Singapore for the first time ever for STGCC 2015. 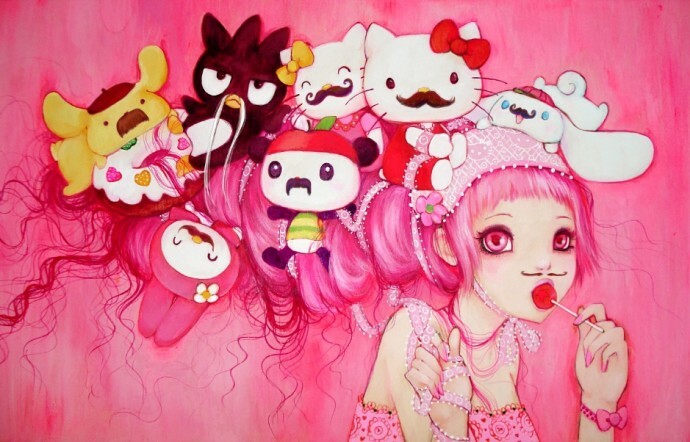 Credits: Camilla d’ Errico. 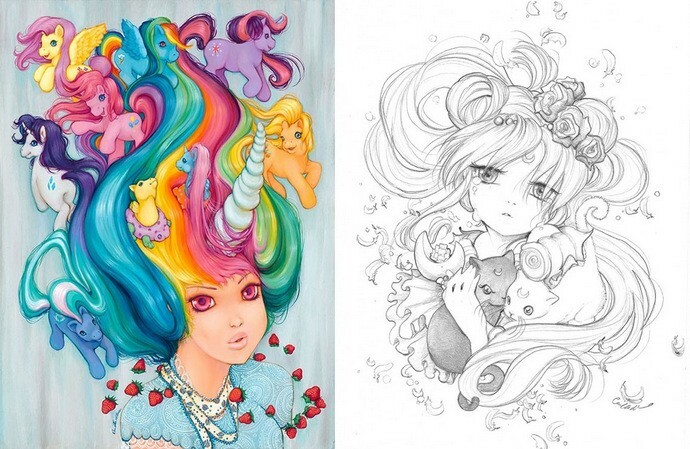 Camilla d’Errico has been making waves in the fine art and comic world with her manga-influenced pop-surrealism. This amazing artist popped by Singapore during the weekend for the annual STGCC 2015, bringing to our hazy island, a touch of whimsy. I had the chance to sit down with her and talk about her unique style, obsession with Tanpopo (don’t we all) and enthused about giant, fluffy plush toys! Your pieces have a very special style, which some have tagged as pop-surrealism. I think that everybody has to label something, like putting it into boxes or in order. So, they gave me the label of pop-surrealist as I was doing my artwork – it wasn’t something that I started myself. What’s really interesting was I was doing my paintings without even knowing that this style was happening. I am honored to be part of it, and have embraced it for what it means. I evolve my paintings to be more surreal, more whimsical. My original paintings in the beginning were very grounded. They were just portraits. Now, I have girls that are cut in half, melting and where they exist in their own state, space and time. So, in that sense, I have taken to what it means to be a pop-surrealist. Have you studied art or were you self-taught? I did study art! It’s a funny story actually. I was doing illustrations and graphic design where there was a painting component. But, my painting teachers were very traditional. They were teaching me pointillism, realism and so on – none of which, I liked. So, at that time I did not fully enjoy painting, and I didn’t learn my style until I graduated. When I graduated, I started working at an art supply store. There, I discovered Holbein paints. The way the oils blended with water helped create my art work. I am traditionally taught, but when it comes to my paintings, I am self-taught. As well with comic books, no one ever taught me how to draw comics. I was actually told not to! Yes, they were like comic isn’t really art. And, I am a very stubborn person. If you said not to do something, that’s exactly what I am going to do! Tanpopo, your graphic novel. You have mentioned that it is your passion project. Would you be able to tell us more about it? Tanpopo started out as an exploratory story. It was a one-shot of about 20 pages which I created after I went to see Faust the opera. In Vancouver, they have created this modern set with very traditional costumes. It made me rethink how literature is translated into the art world. You can take something that has classic roots and transport it into something very original, new and to-date. So, I left with the idea of the Faustian devil (Kuro) and this little girl (Tanpopo). I took the part of the passages from this historical piece and turned it into this narrative about this little girl who dies. The series became so popular, and I sold out of the 100 copies at the first convention I did. I thought I’ll have a 100 copies for a long time because I didn’t know if people really wanted literature. 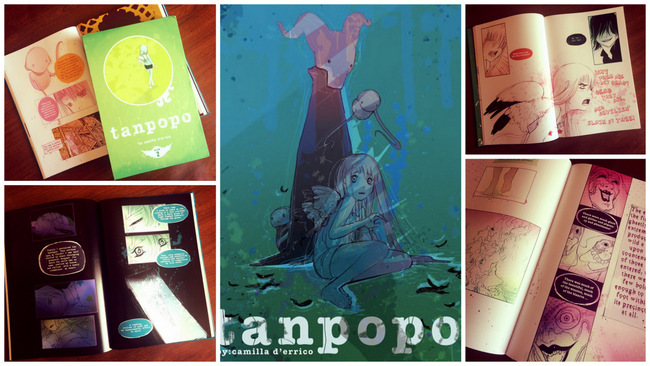 Tanpopo Graphic Novel 2 by Camilla d’Errico. After that, I decided to continue the series, and elaborate it into a story about a little girl without emotions. Each graphic novel, she would experience a new feeling for the first time, and find her humanity. It is my passion project because I do everything – the writing, the drawings, the colouring and the lettering. This is actually very abnormal for an artists because normally, you just focus on one thing. It is also because Boom! Studios (publisher) allows me complete autonomy, and lets me do everything by myself. 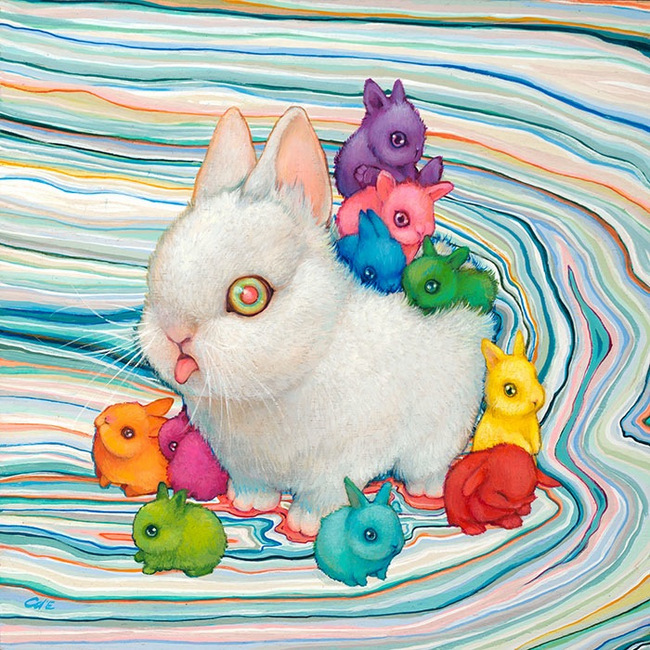 An excerpt from Tanpopo by Camilla d’Errico. I adored how your combined the old english and manga style for Tanpopo. Was this influenced by the Faust opera as well? At that time, I was still evolving my style from North American to manga. I love how the Japanese tell stories. That influenced me a lot, and in Tanpopo too. I wanted to make it very surreal. Clamp was actually my biggest inspiration. When I saw what they did with Clover, which is where they twisted the way the panels are laid and the way the story was told. They changed the momentum, and everything was backwards. I realise I was very inspired by that, and that drove my aesthetic for Tanpopo. As well as Ashley Wood‘s PopBot. It was very crazy and inspiring. So when I saw how Clamp changed the way they told a story and how Ashley Wood used beautiful illustrations without panels, it just made me feel like I could do anything I wanted to tell my story. Also, at that time I realised I wanted to do something that has never been seen before. I didn’t want it to be standard comic, I wanted to be unique. Meenie, Miny and Mo By Camilla d’Errico. You have experimented with different mediums – oil, acrylic, digital and, even, on wood. What has been the most fun? Definitely, wood. Painting on wood is so much fun – and frustrating! Because, each piece of wood is alive, from an individual tree. Each one has its own wood grain and it absorbs paint differently. My paints are water-based, so I do a lot of washes. Some of the wood would really like blue, some of it would really like pink. I would have to learn how to mix the colours to adapt to the wood grain. It is frustrating because I know how to paint, but when it’s on wood, I have to continuously learn based what that piece of wood wants from you and your paint. And, is there anything else you are looking to explore next? I’ve done a lot! I have painted with acrylics, traditional oils and I use water-soluble oil paints. I have literally painted on snowboards, guitars, T-shirts and shoes! I have no idea what could be next but my current focus is what to put my art on. I am working with companies to do shirts with a full print, like the one I am wearing now. They can do clothes and leggings. But, what I would really want to do is work with a Japanese company to make a figure! 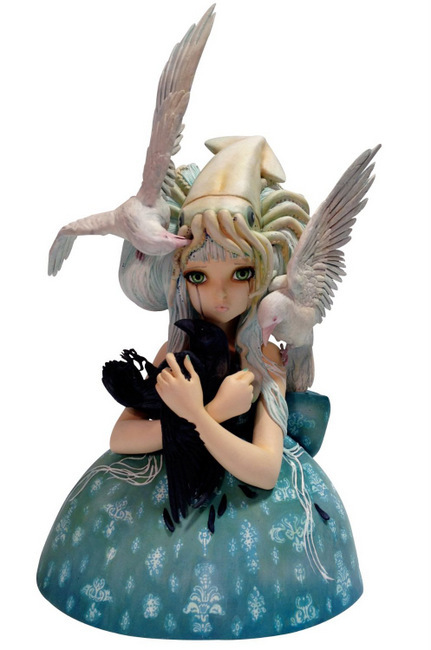 Dark Horse Deluxe Camilla D’Errico: No Ordinary Love Bust. Dark Horse actually did a beautiful bust but I want a full figure. Like, the Japanese ones where they are actually standing on a little point. Like, they can change forms, poses and everything. Exactly! Like, make it movable or if their hair is crazy! 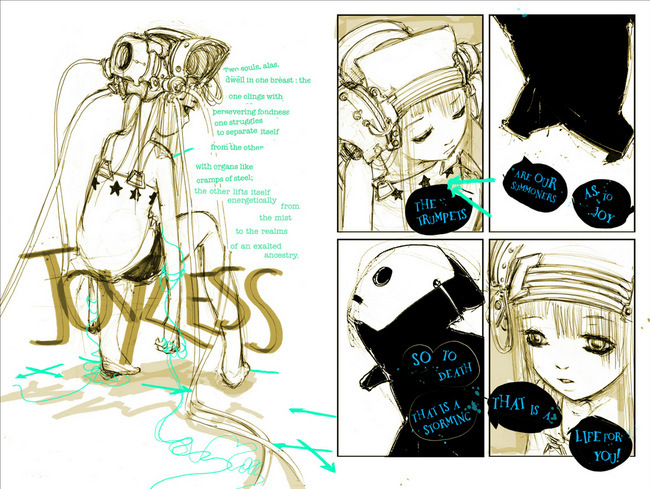 Ashley Wood’s company 3A made a mold of Tanpopo, but it was so complex that it couldn’t go into production. It would’ve costed a thousand dollars per toy! I have the actual prototype and it’s absolutely stunning. It’s Tanpopo sitting behind the machine with all these different parts and tubes. That is my dream – maybe I should go to Japan and talk to somebody. 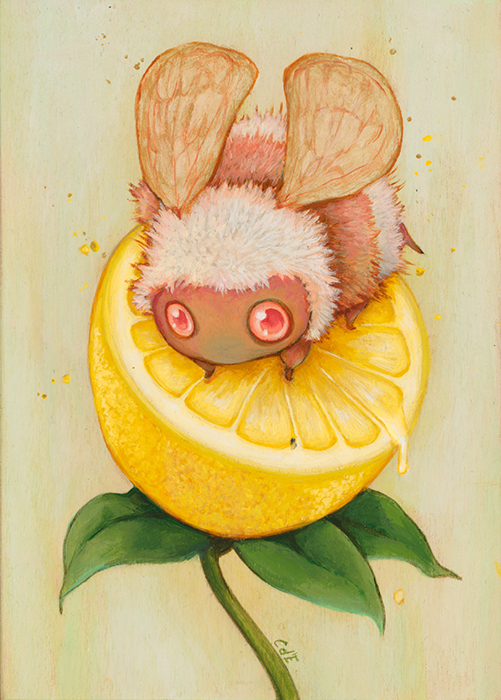 Lemon Drop by Camillia d’Errico. What do you carry on you for working or when inspiration hits on-the-go? I definitely always have a pencil, sketchbook or my own line of pens! I carry them with me always. Even if I have nothing to draw one, I’ll find something – whether if its a napkin or people’s shirts. Someone comes up to me wearing a white shirt, I would just draw on it. I can’t help it. I see it as a blank canvas and I want to work on it! If budget and time was not an issue, what would your dream project be? If I could do it myself? Anything? I would do an animation, an anime. 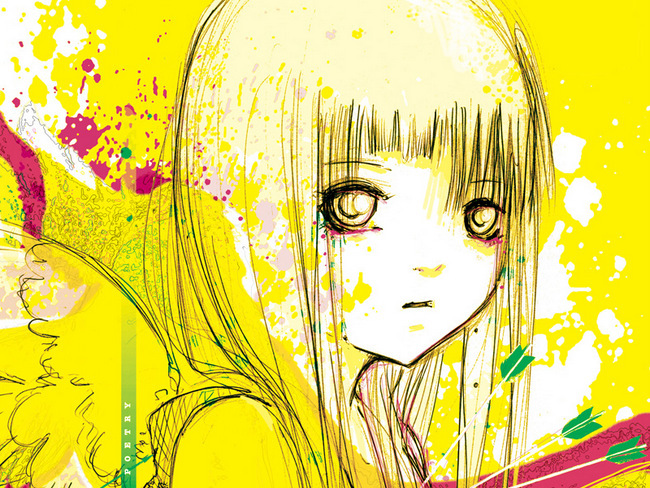 A full length feature of Tanpopo – and it would be so cool! I would put it everywhere, and even hire Hayao Miyazaki out of retirement. You are heavily influenced by anime and manga. Is there any series you are into right now? I really love “Natsume’s Book of Friends”. Every time I watch an episode, I am heart broken and, literally, crying. Every time. I really love it – it is so beautiful! I really like “Noragami” too. One of my favourite comedy was “Moyashimon: Tales of Agriculture”. It is so funny, and I learnt a lot! I learn how sake is made. It is so adorable. I want every single toy of it. Yeah! I went to Akihabara by myself and bought a giant Moyashimon plush toy. And, my husband had no control over it. It was this giant, well, germ and he was like, “What is this! ?” It’s just so fluffffy! Time to go back to the graphic novel? Yeah, I am going back to the novel, because everyone just..dies! I am so tired of everyone dying. I gave up on Game of Thrones at the book, at where the Red Wedding happened. My husband was in the room when I read it, and I got so angry that I threw the book across the room! Not cool, man. Let’s go back to Moyashimon, it’s a lot happier! North American TV has broken me. At least, in anime, it makes sense when a character dies. My husband doesn’t understand. He’s Canadian and I’m Italian, so I have a lot of passion! Any upcoming projects you have planned for the coming year? I have got Pop Painting coming up. It is a follow up to Pop Manga, where I draw, and Pop Painting is where I paint. It is the first of its kind, because there isn’t a book out there for painting pop-surrealism. I have so many fans coming up to me, asking how to paint – it is a lot of cute things like how to paint animals, girls and tentacles! Pop Manga actually has a section dedicated to drawing chibis! Yes, I love chibis so much. I actually designed a series of Tanpopo chibis that can be made into a line. If I had the money, I would do that. I just need someone to finance me, I would just make Tanpopo everything! There’s Tanpopo 3 next year; my third artbook with Dark Horse, Rainbow Children; a cover with Bee and Puppycat; and a gallery show in Los Angeles in March 2016. There’s also the Bride of Frankenstein, which I am working on with Enchanted Doll. It is going to be a space horror, which elements of shounen and shoujo manga. It will go back to my roots, like in Burn, where it is going to be mechanic and have the Helmet Girls. I will be using a lot of action sequences, with the romance of a shoujo genre. Every time I do a story, I want it to be unique. I don’t want to repeat myself, for my paintings as well. You had a colouring contest with Chibi Moon a while back. Yes! I am planning another one with Spirited Away. I will probably do it in November, and announce the winner just in time for boxing day. As for Chibi Moon, I knew people like Sailor Moon – and it was my absolute favourite – but I was so blown away. The quality of the colouring that came out of it. There were professionals changing the piece, making it into a collaborative piece between the two of us to little kids using crayons. It was the most difficult choice to pick my favourite. In the end, I wanted to make everyone a winner. Any words of encouragement for your fans and aspiring artists out there? Give yourself time. When you look at an artist now, you may think “Oh, they just started drawing that way.” I was an awful artist in the beginning. My boys would look like girls on an angle, and they were always on an angle! So, when you are starting out, give yourself time to develop and learn from other artists. But, don’t steal from other artists. I know it is very easy to love what someone else does and emulate it, but you are not showing your artistic voice. It is not you that you are showing the world, it is somebody else. Spend time on your own unique way of drawing. 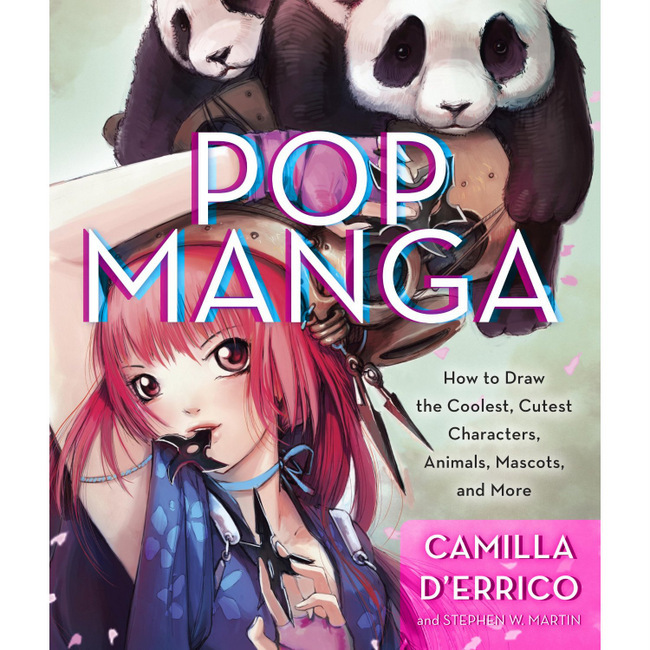 I would like to thank Camilla d’Errico for this interview, and I cannot wait for d’Errico studios to come back to Singapore again! I promise we will have better weather.